I have two pieces of news for you, internet traveler! As you may already be aware, my site now has a blog. I plan to update it periodically with exclusive artwork and art-related updates from my life. 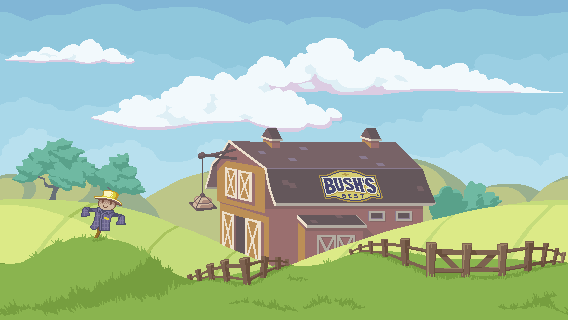 Secondly, the good folks at Psyop hired me last spring to create the graphics for a Bush's Beans mobile game. Get the game for your iOS device! 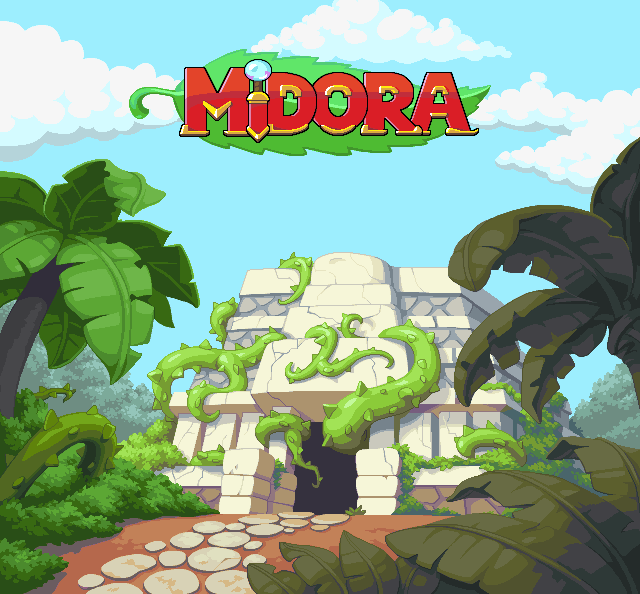 Get the game for your Android device! Because the game is an infinite runner, each background layer tiles with itself. 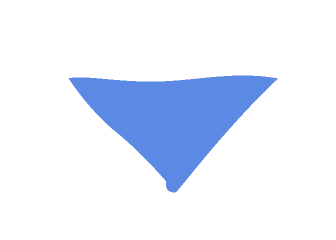 In game, these layers scroll at a different speeds (horizontally and vertically). The resulting parallax effect gives the environment the illusion of depth. The atmospheric perspective reincorces the depth, even when the layers remain static. As long as Jay maintains his bean intake, he never fatigues. Just like real life, hidden rakes are natural hazards found on any farm. Click here for more information and screenshots of the game.